As they old adage goes, a picture is worth a thousand words. 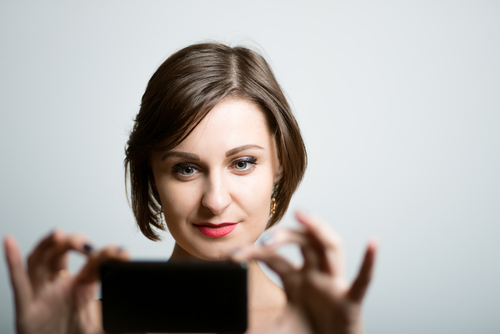 And when it comes to your LinkedIn profile, your photo is an important mouthpiece. After all, LinkedIn is the place you’re looking to advance your career and get noticed by the right people and companies. Not to mention your profile is 14 times more apt to be looked at when you add a profile photo. However, you don’t have to hire a professional photographer or own a fancy camera to get a profile-worthy photo for your LinkedIn page. Read on to learn more. Unless you’re a photography enthusiast, you probable don’t have an expensive DSLR to take a photo with. But don’t worry. Today’s smartphones offer high-quality cameras that can take a photo that looks just as great. The HTC One M9 has a 20-megapixel camera with sapphire glass lens cover and an ultra-pixel front camera that allows you to have more control and options with the image you’re trying to capture. Avoid using a photo that looks like you shot it yourself (skip the car selfies). Instead, ask a friend to take a few photos for you. LinkedIn experts suggest looking professional yet authentic in your photo. A balance of not too buttoned up and not too dressed down is a safe way to go when choosing your attire. For example, you might want to opt for a pencil skirt and a nice blouse over a pantsuit. Ask yourself if you’d wear the outfit in your photo on the first day at your dream job. If not, then you may want to reconsider. When choosing a backdrop for your headshot, keep it simple. Pros suggest standing several feet from a solid-colored backdrop or wall, without being so near to it that it causes shadows in the photo. Make sure the backdrop is void of any items like furniture or wall hangings. A plain backdrop is as close as you’ll get to a professional headshot backdrop. However, if you’re not into simplicity, another option is to get an action shot of yourself while you’re working. For example, if you’re a broadcast journalist, a shot of you holding a mic doing a monologue would be acceptable. If you’re a chef, a shot of you cooking would work. A shot sitting at a desk by your computer works well, too. Additionally, you should use natural lighting rather than artificial lighting. Diffusing natural sunlight for your photo is your best bet. Though we’ve been talking about the “do’s” of LinkedIn profile photos, there are a few “don’ts” to reiterate. Stick to a headshot, rather than a full-body shot, for your profile photo. Be sure it’s one that is fairly recent, within the past year or so. Photos older than that can cause confusion at an in-person interview. And while you may have a fantastic photo of yourself and your spouse, significant other or bestie, it does not belong on LinkedIn. Your profile photo should only be of you.